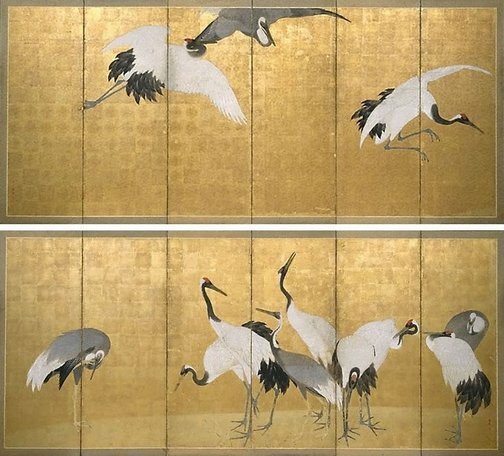 This stunning example of Japanese screen design shows Okyo's expressive power as well as his meticulous observation of cranes and their behaviour. The artist is attuned to the subtle relationship among the adult and juvenile birds that congregate in the top [right] screen. In contrast, in the bottom [left] screen he captures the dynamic movements of three cranes that are about to land to join the others. 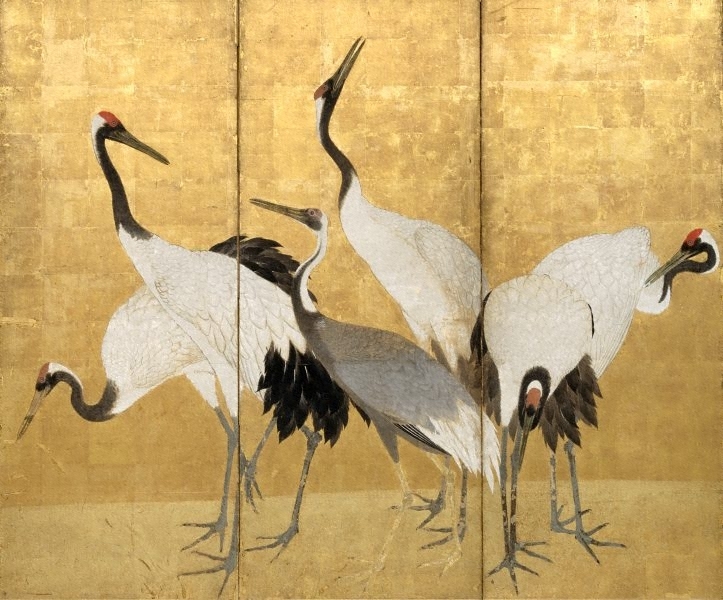 The artist's power of observation can be seen in details such as the half-closed eye of the resting adult crane on the far right, and the crane stretching his neck skyward. The Asian Collections, AGNSW, 2003, pg.234. The Asian Collections Art Gallery of New South Wales , 'Edo Painting Schools', Sydney, 2003, 234-235 (colour illus.). The colour illus. on page 235 is a detail of this work.